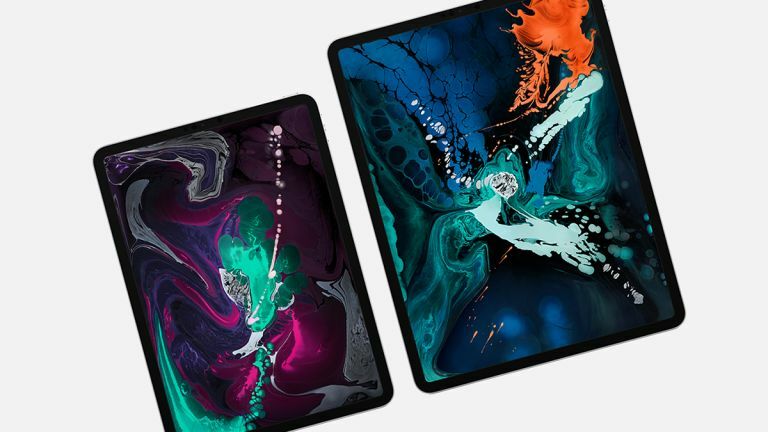 Apple revamped its iPad Pro models in October 2018, and if you've put down some money for one of the 11-inch or 12.9-inch tablets since, you're going to be wanting to get the most of it – and that's where we can help with a curated collection of iPad Pro tips and tricks. However long you've been using iOS and iPads for, you should find something that's useful in this list. From taking screenshots to getting your iPad Pro charging up a little faster, there's a tip or two to suit everyone. Start making the most of your new Apple tablet today. There's no Home button on the new iPad Pros – to get home, swipe up on the home bar on the screen. Swipe up and hold to see all the apps currently open in the iPad Pro's memory. The lack of a Home button also means a change to the way you take screenshots on the iPad Pro: press the top Sleep/Wake button and the Volume Up button simultaneously. Press and hold Sleep/Wake and either Volume button together to turn the iPad Pro off. To restart, the combination is tap Volume Up, tap Volume Down, press and hold Sleep/Wake. Did you know your iPad Pro had a trackpad? Just tap and hold on the spacebar when the software keyboard is on screen, and you can drag your finger around to move the cursor. Your iPad Pro has a USB-C port and can power an external USB-C monitor (up to 4K) – just connect the USB-C cable and the iPad Pro takes care of the screen mirroring process. Another benefit of that USB-C port is being able to charge your other gadgets (with the right cable). You can hook up your smartphone, for example, or your Apple Watch. Your iPad Pro comes with an 18W charger but you can juice up faster using a charger you've got for a Mac or buying such a charger from Apple. It's perfectly safe to do. You don't have to press the Sleep/Wake button at the top to wake the screen on the new iPad Pros: just tap the display. Swipe up from the bottom for an instant Face ID unlock. See that home bar button on the bottom of the iPad Pro interface? If you give it a brief swipe to the right or the left you can quickly jump between your recently opened apps. Maybe you don't take many photos on your iPad Pro, but now it has Face ID, you can create selfies with depth effects. When you're in the Camera app, change the mode to Portrait. Swipe down from the top right to find Control Centre, then tap and hold Do Not Disturb (the moon): it can be enabled for an hour or more, or until you leave your current location. Like other devices running iOS 12, your iPad Pro can put limits on your usage and time wasting. Choose Screen Time from the Settings menu to get the feature configured. If you want to give another family member access to your iPad Pro, add another face to Face ID. From Settings, pick Face ID & Passcode then Set Up an Alternative Appearance. The arrival of FaceTime on the IPad Pros means you can create your own Animoji. Go to Messages, tap the Animoji (monkey) icon, then tap the plus button to get started. The iPad Pro has a dock now – a quick swipe up from the home bar is enough to bring it up. It's an easier way of launching apps and makes it easier to multitask on your tablet. With an app open in landscape mode, drag another app icon on top of it to use Slide Over. The second app runs in a window – swipe the bar at the top to hide and show it as needed. If you drag that second app icon right to the edge of the screen then you get a mode called Split Screen. Use the black bar in the middle to change the split between the two apps. Slide Over and Split Screen makes it easier to use the drag-and-drop feature on the iPad Pros: just tap and hold on a picture or block of text, then drag it into another app to copy it. Get more from your iPad Pro by picking out some accessories: as far as official Apple kit goes, try the Apple Pencil (£119/$129) and the Smart Keyboard Folio (£179/$179 and up). So how exactly do these accessories boost productivity? Well, an external keyboard gives you access to keyboard shortcuts like Cmd+Tab to switch apps and Cmd+Space to search.